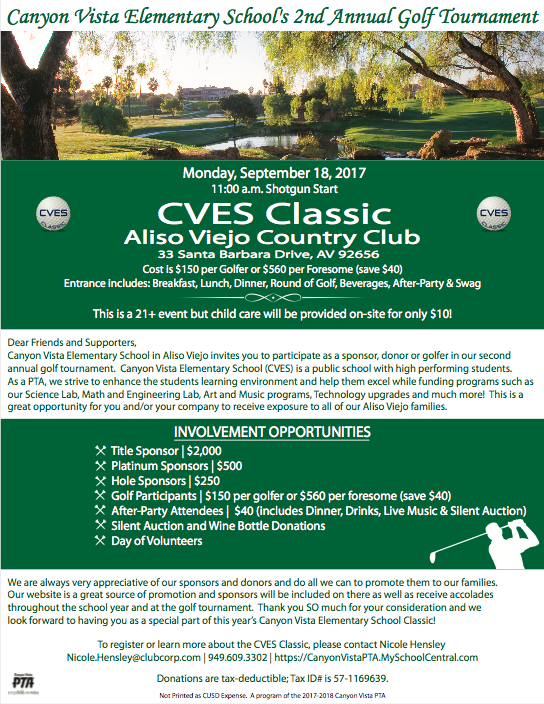 Mark your calendars for the 2nd annual CVES Golf Tournament! Come join the fun and support Canyon Vista – all skill levels welcome. How: Find Ticket & Sponsorship packages here! And don’t forget, Kids Kave will be open and is only $10!